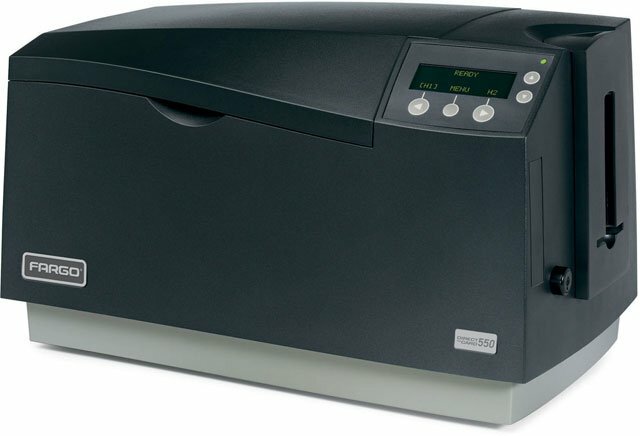 The Fargo DTC550 is a card encoder-printer that combines reliable ID card printing with networking capabilities for secure issuance throughout the enterprise. DTC550 offers flexible design for centralized or distributed ID card issuance in large corporations, service bureaus or large educational institutions. DTC550 uses Fargo's Direct-to-Card technology to print full-color, single- and double-sided cards. 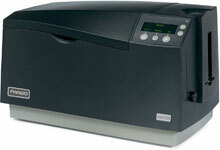 The DTC550 has flexible connectivity, lamination and e-card options. With an Ethernet port and internal print server, it can be installed anywhere on a LAN. The optional PrintSecurity software gives you tight control over ID card printer access and use. The Fargo 91800 is also known as Fargo Electronics	FGO-91800	.